Walkers Crisps is launching an immersive experience housed within a pop-up cafe for crisp sandwich lovers. The speakeasy-style crisp sarnie club, with a secret walkway hidden behind a movable crisp shelf in a newsagents in London Bridge called 'Chris Peters News', will open on 8 September until 29th September. 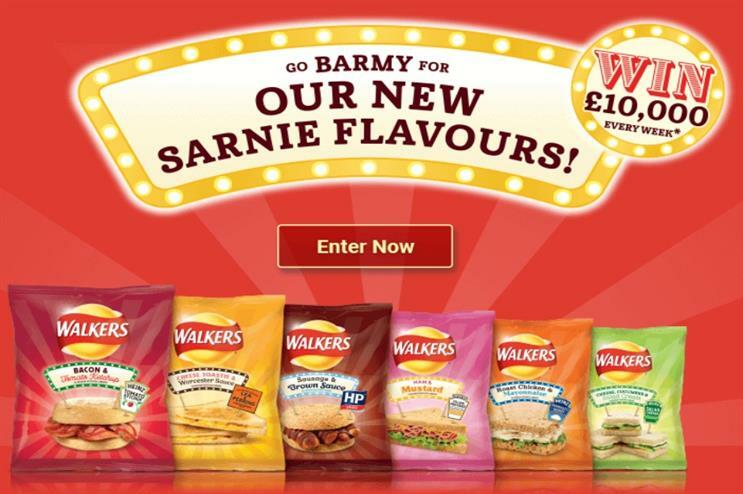 Walkers aims to highlight its limited edition range of sandwich flavoured crisps, of which there are six. The flavours include cheese toastie & Worcester Sauce, sausage & brown sauce, bacon & tomato ketchup, ham & mustard, roast chicken & mayonnaise and cheese, cucumber & salad cream. The immersive experience will enable crisp-sarnie lovers to build their own crisp sandwich experience, picking from a menu of bread, fillings, the limited edition crisp flavours and sauces. Members will then be invited by the club’s Maître’D to sit back and immerse themselves in sarnie-themed antics, sights and sounds. Walkers marketing director Thomas Barkholt commented: "Our new ad and experiential experience are great ways to drive further excitement behind our on-pack Flavours promotion. The pop-up shop is a brand new concept for us and we are sure it will give consumers an unforgettable experience." Initials will deliver the experiential development of the campaign with production support from The Halo Group. Initials head of live engagement Rachel Bateman added: "Working on the Walkers Crisp Sarnie Club has been a fantastic opportunity to evolve the way in which we treat live activity, adding a whole new level of exclusivity, quirkiness and theatre as well as a feeling of community by creating a members club. We hope people enjoy the experience." Walkers held an event with themed areas as part of its Do Us A Flavour competition, run in 2014, which encouraged members of the public to name new crisp flavours. Crisp brand Tyrrells announced a series of activations at UK festivals this year.